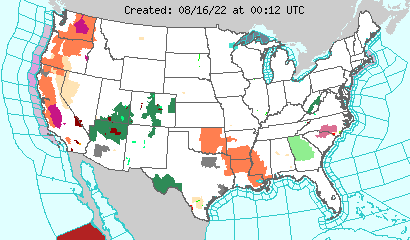 2011 has been a prolific year for major tornado outbreaks. We know of the storms that have impacted our cities and towns across the country. We also are generally familiar with the devastating outbreaks affecting cities like Joplin, Tuscaloosa, St. Louis & Raleigh. There is one outbreak though that many people overlooked because of the timing of the event. This outbreak occurred in Central Oklahoma, produced 2 EF-4 tornadoes and one 60+ mile long EF-5 tornado. However, due to the timing of the event, most of the nation’s focus was elsewhere on another community that was severely impacted. On May 24th (2 days after Joplin), a number of tornadoes impacted central Oklahoma (NWS – Norman Event Summary). The most powerful of these was rated as an EF-5 tornado impacting the El Reno area. That storm was not only sampled by mobile and fixed weather radar, but the outer edges of the tornado actually were directly measured by the Oklahoma Mesonet station at El Reno (see images below). The mesonet station measured a wind gust to 151mph (click on the photo to the left to visit the AMS blog). There are nearly 120 stations throughout Oklahoma as a part of the Oklahoma Mesonet. 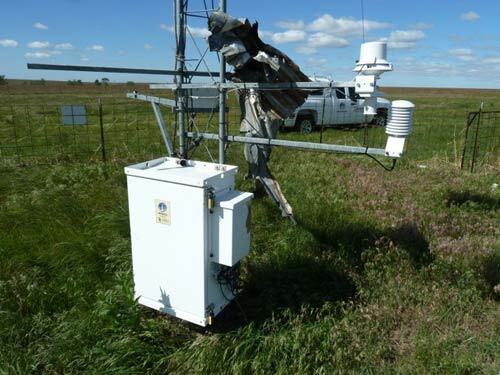 This information proves invaluable to having field verified weather observations that are directly measured. Even though this tornado was on the ground for nearly 60 miles and had a width of 1 mile, direct measurements of this nature are not usually seen. There were 9 fatalities and nearly 200 injuries with this storm.